I’m sure I’m not the only one who loathes cleaning out the kiddies lunchbox at the end of the day. I love filling it but boy do I hate cleaning it out. Opening the lid is always a surprise. More often then not the lunchbox is full of sauce from the container they cant do back up or the yogurt pouch they lost the lid to. One day I opened it to find a big old bunch of soggy leaves in there. Last week I found a dirty, tattered, pink sock in my 4 year olds lunchbox. That takes the cake. I still have no idea which poor kiddy has been walking around school minus said sock. The point of my story? 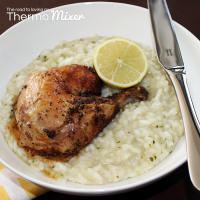 I want unpacking and cleaning a lunchbox quick and easy. I don’t want to spend an hour cleaning the lunchbox that now looks like it has accompanied Bear Grylls on one of his adventures and then have to spend ages cleaning all the different reusable items and containers we use in the box. When it takes you longer to clean everything than it does for the slowest child one earth (hello Mr 4 year old) to eat their lunch you are doing something wrong. This is where the My Squeeze comes into it. I received one to review and put through its paces over the last few weeks. I’ve had a lot of fun exploring this brand new product. My Squeeze is a brand new product on the market. 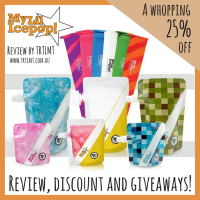 It is a reusable, squeezable pouch that is designed for children aged 6 months and above. There is nothing stopping adults using these of course! 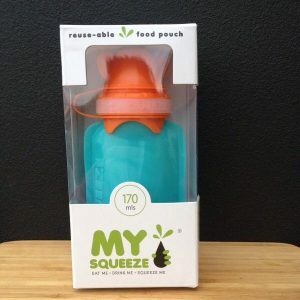 The My Squeeze is made from all the good stuff – it is BPA free and made of high grade silicone. 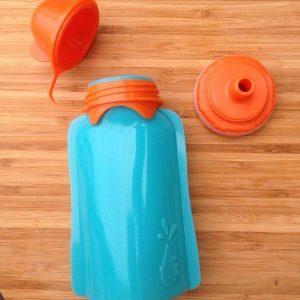 With a lot of schools now adopting a “no waste” lunchbox, reusable items such as these are very much sought after. Not only are these options better for the environment they are also more cost affective for those that use them. 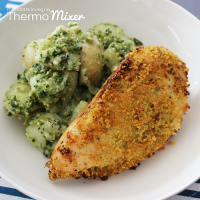 Buying in larger containers or quantities rather then individual portions is much cheaper. For example, yoghurt or custard. 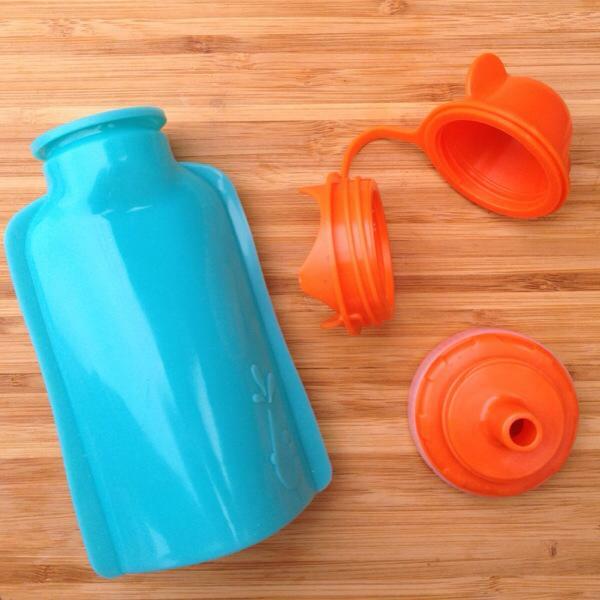 The My Squeeze has three pieces to the unit that are easy to use, clean and dry. The pieces are very easily dismantled and put back together. 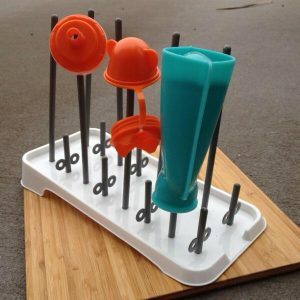 This allows you to ensure it is thoroughly cleaned and there is no traces of any leftover food or dirty dishwater from clean up. The below picture shows the different parts. Despite being new the My Squeeze has already gained some fantastic recognition. My Squeeze was in the top 100 for Anthill Smart 100 which I’m told is Australia’s biggest awards for innovation. They also came 2nd in their category of ‘sustainable product design’ in the World Environment Day Awards 2014. 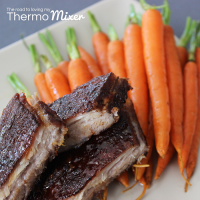 What might look like a fairly simple and basic product, I quickly realised through experimenting and researching, there are so many great features to this product. They are BPS free and made of high grade silicone – they are durable! Can be frozen. This makes it easy when out and about. You don’t have to worry about items spoiling. 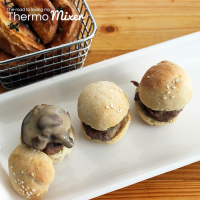 They can thaw in their own time or be microwaved if needed. Frozen My Squeezes are great for the lunchbox in summer, keeping the lunchbox cold. Large opening for easy filling. 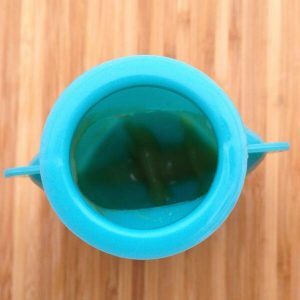 Very easy to squeeze for both the baby and older kiddies. 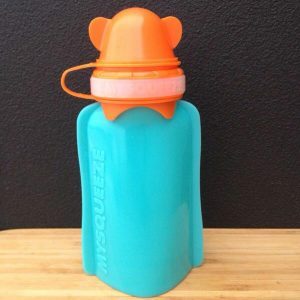 I really like the lid on the My Squeeze. I have a 4 year old who loves to put everything in his mouth (can you tell my 4 year old is a bit of a character?). I love that the lid isn’t a choking hazard for him or bub. The lid is attached the to My Squeeze so there is very little risk of losing it. 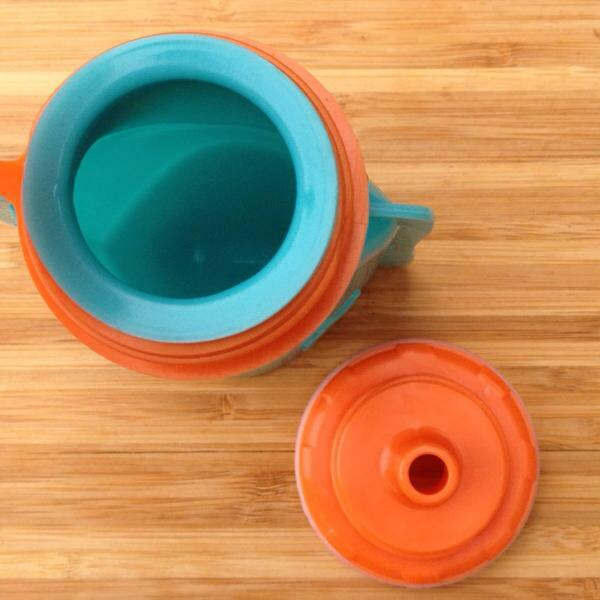 The lid is very easy to open and close. I can describe it properly but it has a great closing feature where you can easy hear and see that it is locked into a closed position. 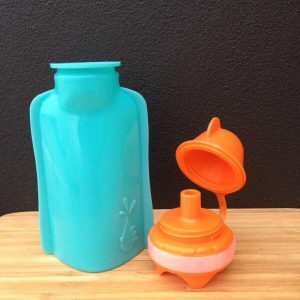 A note about spillages and leakages: The lid has a feature in it that prevents such products like, yoghurt, custard, baby food and thicker substances from leaking out. It however isn’t recommended for use of liquids such as water as there may be a small amount of leakage in the cap. Make your own “Up and Go” type breakfast in these. Store homemade marinades and dressings easily in the fridge or freezer. Storing sauces: this would be great to keep one or two of these in the picnic basket for outings. Store your thermomade stocks in these in the fridge or freezer and easily squeeze out the portion you need directly into the bowl whilst cooking. Sunscreen: store bulk sunscreen in these and keep in the nappy or swim bags. Storing non toxic paints and glues for the kiddies craft box. Freeze and use as ice bricks and then drink on thawing. These were very easy to use. Filling is extremely easy due to the large opening. You can easily fill these using a spoon or a funnel. I was curious to see how much would be left in the pouch that couldn’t be squeezed out. No body wants excessive wastage. This isn’t the best picture but there is approximately one heaped teaspoon or so of puree that wasn’t able to be squeezed out. Given the savings I have made using these pouches and how easy they are to fill and clean I am happy with that. If you really wanted to you could use a teaspoon just to get the last little bit out. 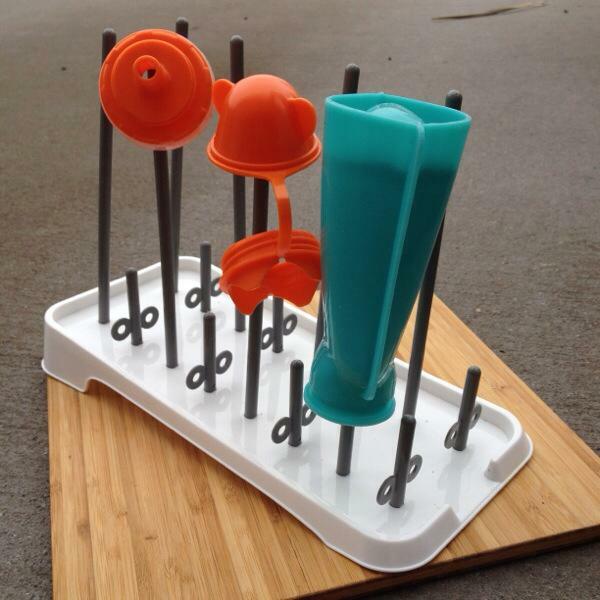 They were very easy for the older kiddies to use. It only requires slight pressure for them to be able to eat from it. Something to point out, because it is made of silicone the outside of the My Squeeze does attract some dust, fluff etc. You can expect this with most silicone items. This is easily washed off and obviously doesn’t affect what is inside. Cleaning is very simple. I think this is due to the large opening, the base design and being a high grade silicone pouch. It really is as simple as a quick rinse in cold water then a wash in hot soapy water. I simply filled it with the hot soapy water, gave it a good swish around and rinsed. A small bottle brush does fit inside as well. 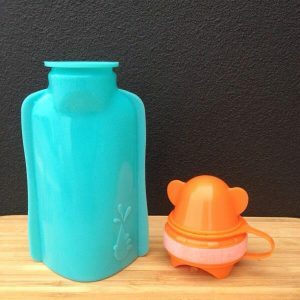 The My Squeeze is dishwasher safe. I tested this on the top shelf of the dishwasher and it washed well. As it is light it may tip over during the wash cycle so be sure to prop it up if possible. I find handwashing quicker and easier. To dry I used this very cheap bottle dryer I had in the cupboard. It allowed the My Squeeze to dry completely. It also dried fine in a regular dish rack. 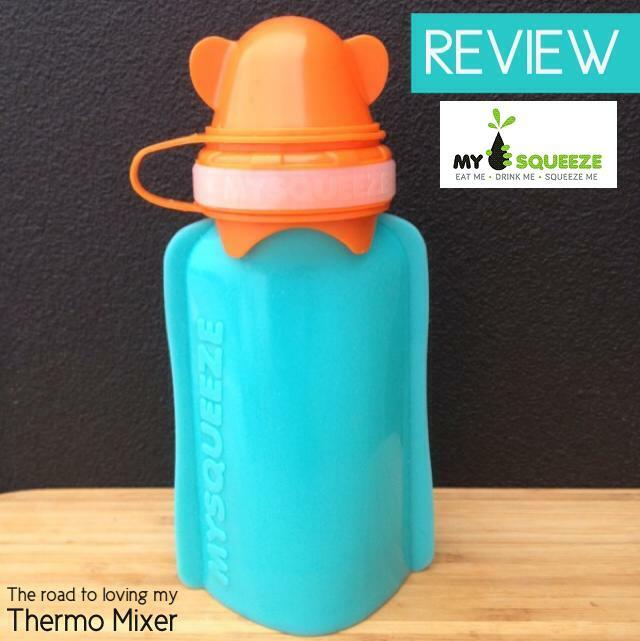 I used the My Squeeze for both savoury and sweet products, both warmed and served cold. I didn’t notice any transfer of smells. Like most silicone and plastic items I always recommended rinsing in cold water first then into hot soapy water. Placing it into hot soapy water immediately may set the stain and smell. I would recommend one for savoury and one for sweet though to never have an issue with this long term. I’ll be honest, when I first saw the price of these I wondered if they were worth it. Having used them thoroughly, I can say yes they are. I understand these wont be in everyone’s budget. I think its important to point out that these are extremely durable. The likelihood of having to replace these is very slim. They are high quality, easy to use and will save you money in the long run buy buying in larger quantities or making your own. Worried about losing them? My Squeeze will be introducing name bands soon to help prevent lost squeezies. 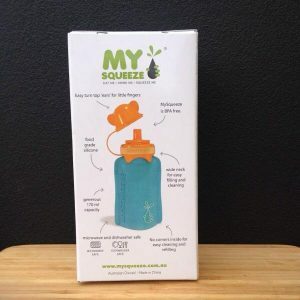 You can head to the stockists section of the My Squeeze website for a full like of stockists. Some are having a special on the My Squeeze at the moment so be sure to have a look. I really like this product. I love how durable it is. I know it will last even with my rough and tumble boys. I think what I value the most is that it is very easy to clean. That saves me time but makes it more appealing to use. *Free product was given for the purpose of this review. The opinions, thoughts and reviews expressed in this post are my own and are not influenced by payment or relationships with businesses and advertisers. More information can be found on my Disclosure page.